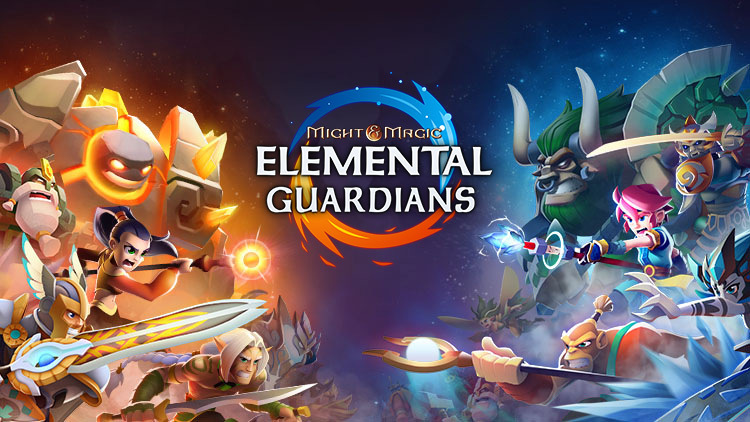 Mi&M Elemental Guardians is a mobile RPG based on the classic Might and Magic series. This is not a direct descendant of those games., but Ubisoft made sure the addictive gameplay is still the same. Elemental Guardians is also about creating your own team of warriors, PVP, collecting creatures and of course, using magic. Once your eyes have feasted on the graphics and get into the game, you will notice the controls and mechanisms are similar to other mobile RPGs. The auto mode allows you to watch your creatures take down enemies, though it is possible to manually engage in combat. While the combat is fun, in many ways it is better to use the auto mode as you will spend a lot of time gathering materials and leveling up. In addition to gathering materials, you also have to manage glyph, evolution, warrior training, quests and more. While this sounds like a lot, the intuitive interface makes everything manageable. In the end, Elemental Guardians are all about training and unleashing your team of warriors. You will see that each has their own skills, powers, and capabilities that will come in handy during the latter stages. Elemental Guardians is a full RPG game, and there is nothing quite like upgrading your warriors and making sure you get the highest possible stats. While the game is easy enough for a new player to get into, there are still lots of opportunities to tinker with various elements. There is no shortage of RPGs on mobile, but Might & Magic Elemental Guardians is in a league of its own. From the graphics to the gameplay the game succeeds.